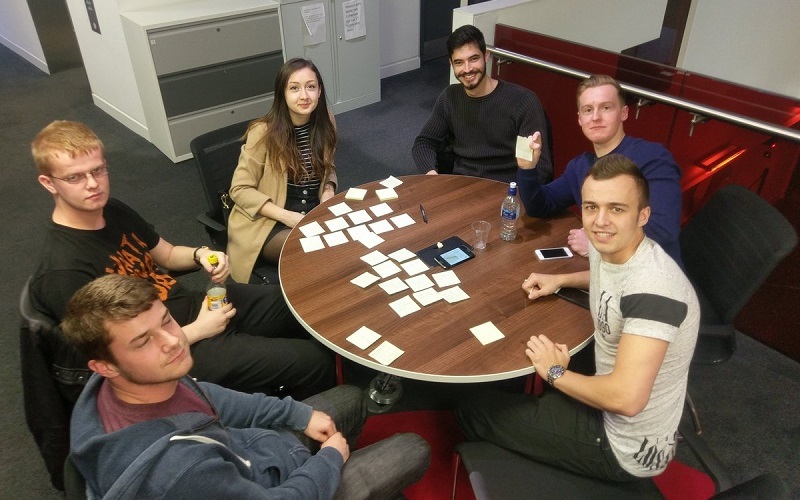 Tom Mullarkey is a final year BSc Business Information Technology student at the University of Salford. In addition to his studies, Tom has been working on Fan Fit, an app developed by University of Salford staff and students. 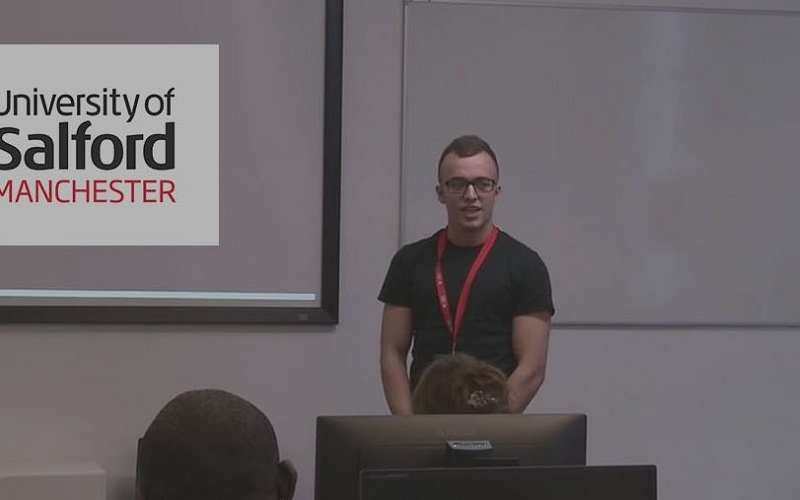 Tom tells us about his course and how his work on the app has improved his skills. Fan Fit was developed by University lecturer Alex Fenton and a few students. The app aims to get people involved in fitness, and involved in their sports club. They can track their fitness against other people. We’re aiming to get the players signed up so fans can compare themselves against the players. The app is advancing quite quickly now, we’ve partnered with Rochdale AFC and we’re doing a lot of work with them. We’re also working with Fletcher Moss Academy and Salford Red Devils. What’s your role in the Fan Fit team? My role is to handle the digital marketing. I set up campaigns on Google Adwords, I set up online ads so I try to draw some fans in and get them to sign up. I also run the social media accounts for Fan Fit, my job is to get a lot of posts out there to try and build brand recognition. What’s the future of Fan Fit? Is the end goal getting a Premier League club to join? That’s the end goal, but to get there it’s all about building the profile of Fan Fit. Social media is so big on that at the minute so we’re trying to build it through that and get more connections with clubs. Do you work with the lecturers on Fan Fit? I’m working quite a lot with Alex Fenton in particular. It’s his project and he was really happy that I wanted to get on board with it. We’ve had a lot of meetings and we’ve got a company called Sigma on board now. There’s a few other people on board so it’s a big team that’s come together. We meet a couple of times a week and we’ll be meeting with Rochdale again soon. It’s a great course, this year has been a great year. The lecturers are so involved and so engaging, the modules are a lot of fun. We’ve met a lot of business professionals this year too, like Jamil Khalil from Wakelet and a few others. It’s great because we’re getting real life experience now and seeing the next step to get into that business world. They’re preparing us really well, we had to create a digital portfolio as part of our course. We got a lot of help from the tutors and now we’ve got a website online that we can use for ourselves. What’s the teaching on the course like? They encourage you to speak out, to be confident in getting your opinions across. If we ever speak to them about something we think would be a good idea they take that on board. Alex Fenton has been really helpful, I can email him whenever I need his help and he always replies! You can tell he wants to get the best out of you, and so do the rest of my lecturers. You can see they’re all a close team and they work really hard for us. Do you have a favourite spot on campus? My favourite spot to do work is the Chapman building. I like to go to upstairs in Chapman where they’ve got little interview type rooms up there so we go in there when we’ve got group presentations to practice. What would you say to someone considering studying at Salford? If they want to go into the business world I’d definitely recommend it. If you’re not too sure if you want to do business or IT then the course I do gives you a good balance of the two and it touches on elements of marketing. It gives you a good experience and prepares you for the real world. You can find out more about Salford’s collaboration and partnerships with clubs and industry via our Sport ICZ site.